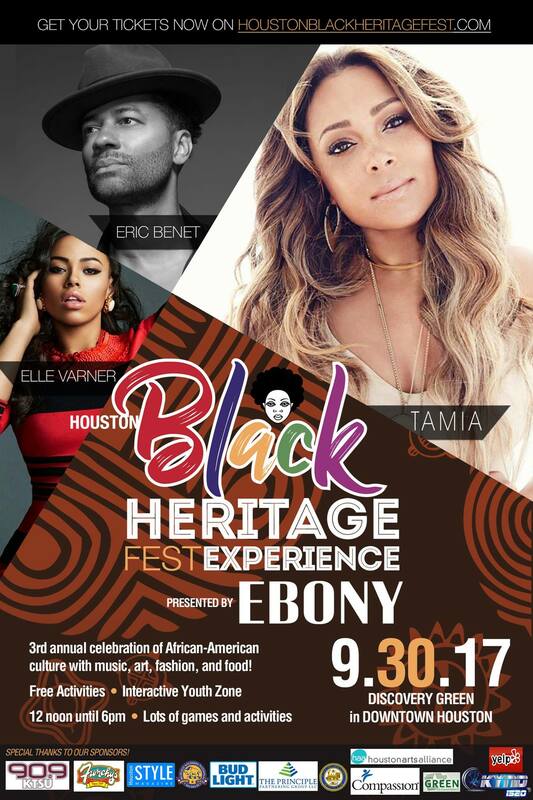 The 3rd Annual Houston Black Heritage Music & Arts Festival (HBHMAF) is an all-day cultural event that promotes diversity and cultural sensitivity. It will again feature music, art, speakers, exhibits, poets and crafts people locally and nationally. The Festival, which will take place Saturday, September 30, 2017 at downtown Houston’s Discovery Green, is expected to draw nearly 8,000 participants.